H Modified, D Sports Racer, etc. 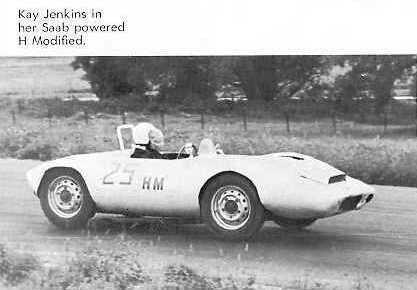 Seen in the 1964 Klaxon Annual, from the MidWestern Council Sports Car Clubs website. From Lynndale Farms Raceway, Pewaukee, Wisconsin, August 9, 1964. The above car looks somewhat like a Bandini, but the rear definitely looks different as well as the rear of ther front fenders. Saas poweed, but also Saab chassis? See Unknowns Page 2 for many photos and a description of this car.